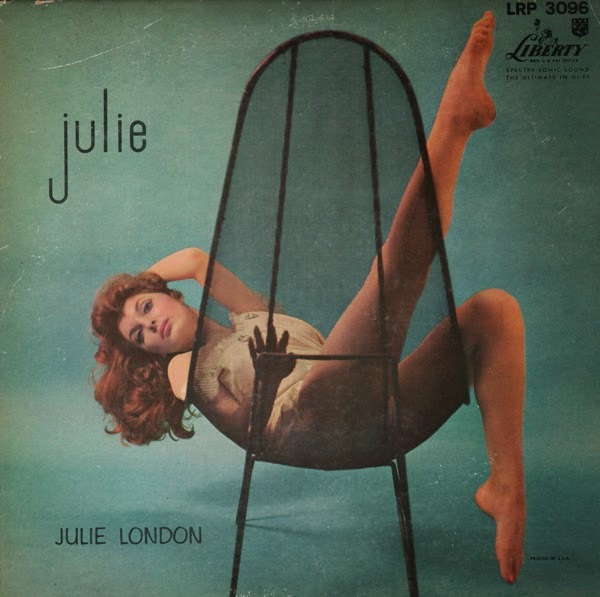 From Billboard - May 26, 1958: Soft-voiced Julie London works up a fine romance here with a nice set of relaxed jazz standards, showcased perfectly by unobtrusive but well-done backings by Jimmy Rowles' ork. Her sultry off-beating on "Daddy" is enough to make any red-blooded deejay race to his turntable, and the cover shot of leggy Miss London relaxing in a wire chair in a set of Baby Doll pajamas, will play havoc with masculine blood pressures. I second the above and say again, "…we believe each word you tell me." Outstanding arrangements and London's smokey voice in top form. I learned long ago that we're true brothers in arms! Look and listen to my records!